"Survivor" season 29 revealed: "San Juan del Sur -- Blood vs. Water"
Tony Vlachos' victory wasn't the only big reveal on Wednesday's "Survivor: Cagayan" finale -- host Jeff Probst also revealed the location and theme for next season. The 29th installment of the CBS competition series will be "Survivor: San Juan del Sur - Blood vs. Water." Yup, the show is bringing back the well-received Blood vs. Water format from season 27, when returning players competing against and alongside their loved ones. But this time, it will be pairs made up of an entirely new cast of competitors, Probst told Entertainment Weekly. "We really listened to people saying, 'Oh my gosh, we love new players again. This is so fresh and it feels so good,'" he explained. "And we went down the road with a couple of different ways to do Blood vs. Water, and we started casting it, and started finding really good people, and then more good people, and then it became a very easy decision to go with a completely new cast." 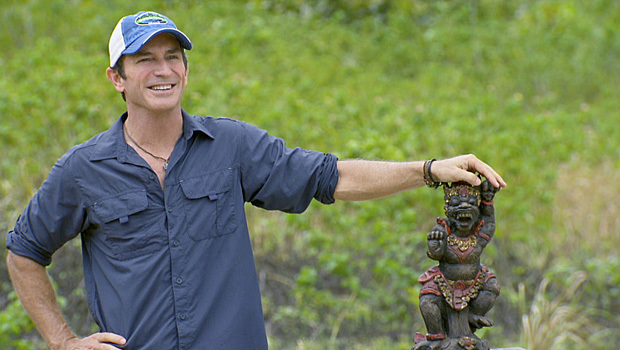 The season will filmed in Nicaragua, and Probst also revealed the return of Blood vs. Water also means the return of Redemption Island.